Director Nicholas Ray customarily takes his material and subverts our expectations or better yet deconstructs the conventions that we often take for granted. But this is also matched with his penchant for showing a very raw and honest percolation of emotion. It causes every one of his movies to leave a perceptible toll on the audience because it’s difficult to have any other response. In a Lonely Place is another textbook example. Here is a film with a murder plot which would normally be of primary concern. Instead, it ends up falling by the wayside to become nearly unimportant. It sounds almost callous to make such a claim since a life is at stake but then there is a bit of a detached quality permeating the picture. 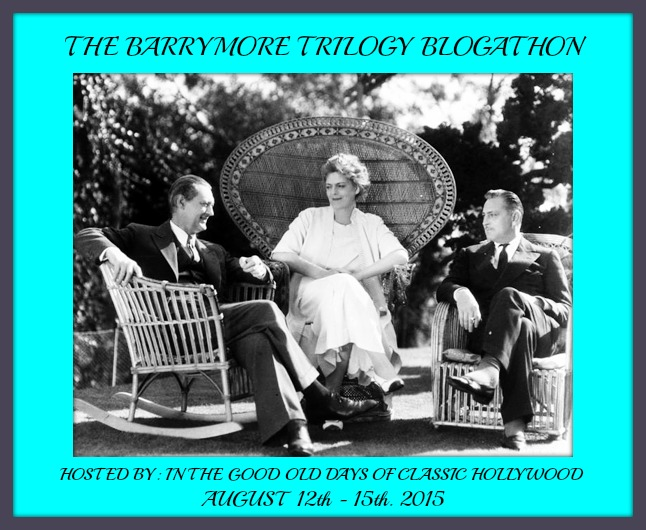 A brooding Humphrey Bogart is at his most explosive as screenwriter Dixon Steele, a man with some talent, but a very odd way of exercising it. He’s an exasperating case for many in the industry, including his agent. Art Smith provides a wonderfully vivid performance as the agent nursing his ulcers while still faithfully standing by his client despite the turbulent nature of his temper. (Coincidentally Smith was featured in the earlier Dorothy B. Hughes adaptation Ride the Pink Horse). It’s true “Dix” can be a tough man to figure out. Bogart may have played more appreciated, more iconic characters but there’s something especially raw about him here. On top of Bogart’s performance, this is Nicholas Ray’s own examination of the Hollywood industry’s mechanisms, spitting out has-beens and flops as much as fame and fortune. There’s the continuous inner conflict between making a smash — the kind of trashy stuff that sells — and then trying to create something of worth on the spectrum of art. If we had to draw up thematically similar films, All About Eve is a more flamboyant choice and Sunset Blvd. 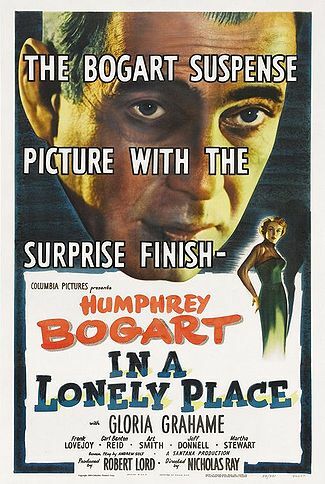 boasts the cynical edge but In a Lonely Place probably deserves to keep the same company with these noted classics from 1950 as a film of truly morose sentiments. 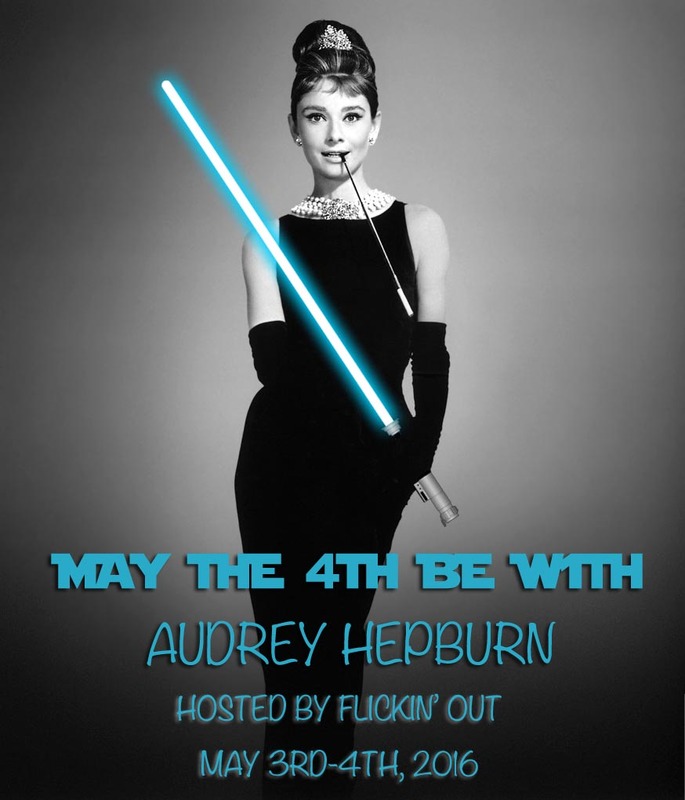 It’s not simply cutting through the artifice of Hollywood. It’s trying to provide a deeper study of the people who are cogs of the industry. After a precocious hat check girl (Martha Stewart) is found murdered it sets off an investigation by the police force. 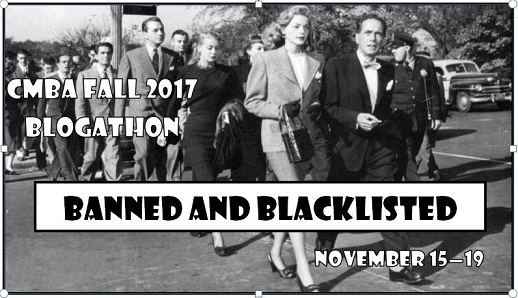 As Steele had requested the girl come over to his home to give him the plot summary of the low brow novel he is meant to adapt, just hours before her demise, he is placed on the top of the lists of suspects. Conveniently, his neighbor across the courtyard, a bit part actress (Gloria Grahame at her most aloof and restrained), who he hardly knows, is brought in and vouches she saw him and it’s not a lie. He really was at home and he did not commit the crime. If we wanted to, we could leave the story right there but that’s not all the film is working away at. It unravels in other ways too. In another world, this almost voyeuristic setting could have been made for Rear Window (1954) but this is not that film either. Frank Lovejoy is the average cop with a thoughtful wife (Ms. Jeff Donnell) — a genuinely nice guy who knows “Dix” from back in their war days. He takes orders but he also has an inherent confidence in Steele as a human being. At any rate, he wouldn’t be prone to killing girls and so Brub helps to humanize this man in the eyes of the audience. And yet there are still some troubling caveats on Dixon Steele. He owns a history of violent outbreaks but it goes beyond this. There’s a raging darkness that is part of his makeup as a character. He is tortured by hatred and by his own accompanying desolation. We can chalk it up to a number of things. His own personality. His lack of consistency. The often cruel industry that became his livelihood. It could be any number of these things or all of them. In fact, for a film noir, the outcomes prove to be unique. It has murder but we never see it. There’s an actress who played countless femme fatales playing a slightly different iteration here. Even Bogart, though carrying a simmering temper that goes off on several occasions, is generally not a hardboiled heavy. Just a tormented screenwriter with demons to exorcize. 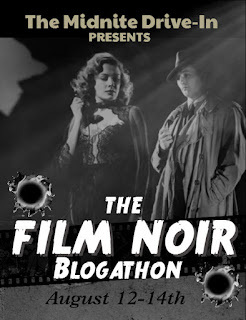 Beating up a college kid doesn’t go with the glorified and gritty brutality that might crop up in a Maltese Falcon (1941) or The Big Sleep (1946). It’s just callous barbarity in the normal world. Throwing phones or beating up friends in public is not normal behavior. There’s no other conventional excuse for it. But this is Dixon Steele for you. He’s just a troubled man. Not an archetypal noir antihero. As much as we fear for the people in his stead, there’s also a mild pity reserved for him. He shows himself capable of love. He simply proves to be very ill-equipped for the endeavor. The layers go deeper still and more personal as Gloria Grahame’s marriage with director Nicholas Ray was splintering and was finally absolved quietly during filming. Beyond that, you get the sense, Bogart who financed the picture is playing someone, not unlike himself. Perhaps it’s the closest he ever got. Like the film, he found love in a woman, Lauren Bacall, many years his junior who nevertheless made him very happy. Sure Bogey was a success but it took him a long time to get to the top of the summit. He was a hard-drinker with a notoriously white-hot temper to match. Still, he was a romantic and an idealist in such a way we sympathize with. He’s ardently beloved today as he was in his heyday. The contents of the story take on an entirely new spectrum of meaning with this personal context. In a Lonely Place wasn’t just an examination of Hollywood and the lives of people who could be real. In a Lonely Place feels far more transparent. It is Hollywood and these are the very people who find themselves caught up in its disillusioning grip. Loneliness is there’s to have and to hold. 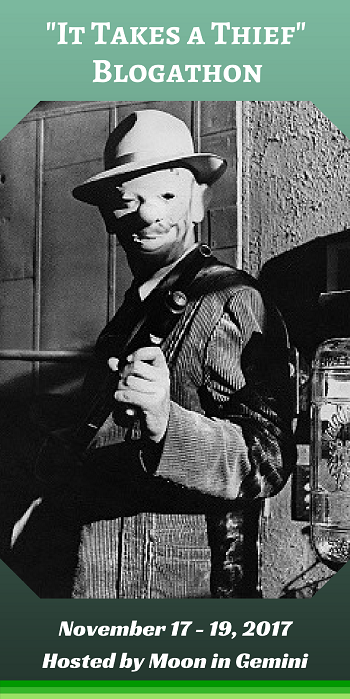 They don’t need the prototypical genre conventions of graft and crime — the brand we conveniently label as film noir. There’s really little need for the more darkly cinematic overtones. They have themselves. That’s dismal enough already. In watching even only a handful of Nicholas Ray films, it’s possible to discern fairly quickly that his films are often about the marginalized outsiders. Rebel Without a Cause (1955) is the most iconic example but this theme goes a lot further than that single movies. He even plays with the same ideas in Johnny Guitar his extraordinarily distinctive western from 1954. There are other westerns that open like this. A stranger (Sterling Hayden) riding through the mountains and making his way to the nearest town. He overlooks a stagecoach robbery going down and miners blasting away at a mountain with dynamite. There must be a purpose to it all but the significance fails to resonate quite yet. He goes to the local watering hole: Vienna’s. Except there’s no one there. It’s a ghost town. There are only a few solitary figures working the roulette wheels and the bar. No one else. But still, the stranger walks in as if he’s meant to be there. We don’t know why yet. By all accounts, Sterling Hayden wasn’t much a cowboy but he had the presence of one. In the movies sometimes that’s enough. Here’s the eponymous Johnny Guitar, the man with his instrument strapped to his shoulder with little stake in the local goings-on. Namely, the grudge match brewing between the hotel’s fierce proprietress Vienna (the always cutthroat Joan Crawford) and fiery western lass Emma Small (Mercedes McCambridge) who packs a whole posse of cattlemen including ornery John McIvers (the venerable Ward Bond). It doesn’t help matters that Vienna opens her doors to the despised Dancin’ Kid (Scott Brady) and his cronies. We, like Johnny, have no particular stake in their quarrel though there is a sense of some past grievances. In fact, everyone seems to have a history but we are hardly ever given a nibble, never through flashback and rarely in exposition. Nicholas Ray creates a gorgeous world in color that showcases some of the most attractive imagery of the West in Classic Hollywood on par with The Searchers (1956) and Rio Bravo (1959). And it boasts an equally colorful array of characters including quality supporting cast members like Bond, Ben Cooper, Ernest Borgnine, Royal Dano, John Carradine, Frank Ferguson, and Paul Fix. But the subversion of all norms begins with Joan Crawford, the woman who loves the sound of the roulette wheels spinning, ever severe, packing a six-shooter in her blue jeans. While the TruColor does much to enhance not only the scenery but her performance as her piercing eyes burn through everyone she stares down. Johhny Guitar might be in our title but Vienna is our undisputed star. The relish of the film is perfectly rendered by the complete lack of clarity initially. It’s trying to get a line on everyone in an attempt to understand what’s going on as their allegiances are made fairly evident. It’s a matter of picking a side. But the sides are incredibly difficult to decipher. In fact, even in her moments of complete innocence, it helps her character that Crawford very rarely comes off as a sympathetic person — in reality or on the screen. So if she’s our protagonist then we’re in for a tough outing. Of course, the feud that’s central to the tale was also twofold unraveling on both sides of the camera. Mercedes McCambridge and Joan Crawford loathed each other to put it lightly. They probably wanted to tear each other’s hair out and while not the most benevolent of relationships, it undoubtedly stoked the fires of the film’s drama. In fact, it seems like there weren’t many people who did like working with Crawford. Hayden never wanted to be in another picture with her again either. Still, once more, it all functions in front of the camera exquisitely. There’s certainly some truth in drawing up parallels with George Stevens’ Shane (1953) but the moral lines are a lot more jumbled and the intentions of the plot far less direct. Shane is a success because it’s a fine piece of classical storytelling still underlined with an imminent threat. Johnny Guitar is beguiling because it breaks with all the conventions of the West while still carrying its own amount of subtext that’s hard to figure. Should we even care that the posse gets these men? But you see, that’s nearly beside the point. 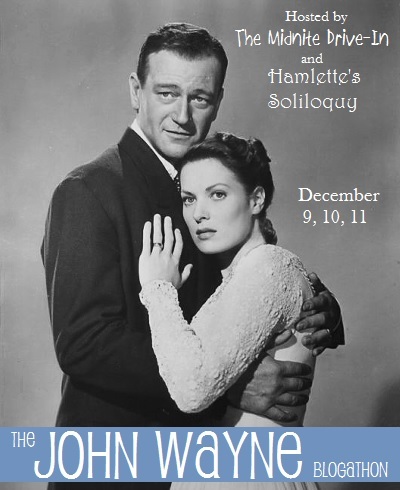 It’s not about right or wrong but this muddled center controlled by Joan Crawford and Sterling Hayden. The man and the woman with a bit of a past but not enough that they will fall into each other’s arms and live a faithful life at one another’s side. That’s just not in their nature. Still, riding the fence proves to be a taxing ordeal. We witness the most peculiar bank robbery as far back as I can remember committed by the local outlaws who until they ran off with the loot hadn’t exactly done anything wrong, in spite of being despised by a whole town. In other words, they played the roles expected of them. Then, a pair of hangings takes place but instead of your typical unrepentant criminals being strung up, you have a kid and a woman both ending up with a rope around their necks. The enforcers’ stomachs begin to churn uneasily. This isn’t how mob justice is supposed to work. Subsequently, the battle to subdue the frontier is brought home with the most unconventional showdown in the western canon that’s fundamentally also one of the most stunning. It blows up in your face and then leaves you questioning this entire ordeal. Peggy Lee’s title track is used to sing them out as one final note in this dazzling western courtesy of Nicholas Ray; dazzling for the very reason that it does everything contrary to what we have learned. It continually makes a conscious choice to upend the accepted script attached to the mythology of the West, rewriting its own narrative full of vivid imagery and equally blistering outcomes. On Dangerous Ground is essentially a throwaway plot about nothing but Nicholas Ray turns it into to something — something about everything that is universal and even transcendent about film. Bernard Herrmann’s score draws the audience in with a killer hook as he did for many of Hitchcock’s most iconic films later in the decade. There are cop killers on the loose and the force is on high alert. The particular cops that we have the benefit of following get the honor of scrounging around every dive bar and crummy joint in town where the scum of the earth dwell at all hours. It’s in these opening vignettes that we are introduced to the seedy underbelly of the urban wasteland. It’s no good but there are innumerable interesting characters and they’re not all bad. There’s Doc at the drugstore ready to fix ailments while also being handy for a sundae. Streetcorner newsmen are ready with a tip in a pinch almost on cue. Still, Jim Wilson (R0bert Ryan) is all out of sorts — restless and prone to aggressive outbreaks. He’s not sparing the rod when it comes to apprehending criminals and questioning riff raff. And the very fact that Robert Ryan almost always has a nondescript expression on his face make his more heated outbursts unnerving. It’s enough of an issue that the police chief (Ed Begley) has to get on him. His partners warn him too, namely, the veteran Pop who has his share of ailments while still finding some time to wax philosophical about life. Soon, enough is enough and Wilson is transferred to a case out in the country tracking down the culprit in the murder of a young girl. And in these moments On Dangerous Ground becomes all too real. He’s actually on thin ice if you want to get really technical, in both the figurative and literal sense. The vengeful patriarch (Ward Bond) is out for blood, waving around his shotgun just waiting to fill someone full of lead. And as it happens, the story becomes a snowcapped manhunt out in the country with Nicholas Ray developing a second distinct world in stark juxtaposition with the first. If you wait for Ida Lupino’s entrance you will not be disappointed because it is a fabulous one indeed. 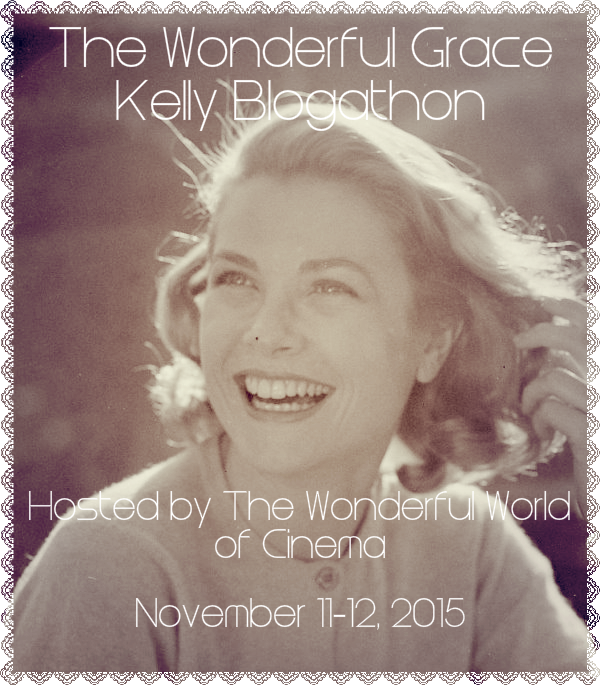 She and Robert Ryan do make a heady combination as the film devolves into an extraordinary sensitive picture. 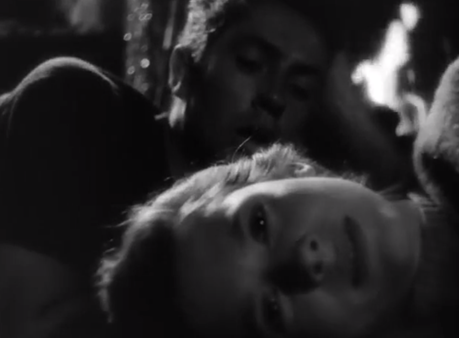 Ray’s use of closeups near the end is remarkable in creating an immense intimacy between his protagonists. It leads to the question, can a film about police brutality also be about a policeman’s loneliness? In this case, the answer is yes. Because it seems like a great deal of the people within this story are in a similar state. There are frightened youths as well as alienated and isolated individuals who do not know how exactly to deal with other humans. But thankfully we can all learn. On Dangerous Ground isn’t so much a cynical film as it is melancholy and so, far from seeing its ending as a cop-out, it actually feels like an extension of what Ray was doing all along. It’s this passionate almost spiritual escape from the world at large as reflected in the setting and ultimate outcome. The cop starts to untangle the mess of his life and begins to settle on a firmer foundation. His story need not end in the bowels of darkness. A holiday in the country is still attainable for him. 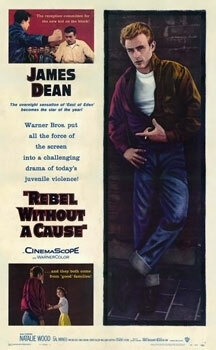 James Dean’s “The Rebel Without a Cause.” It’s his image as much as it is a film for many people. But if we actually take the time to examine him, Dean subverts expectations. There’s this aura built around him as that iconic rebel–cigarette in hand–a glint in his eyes. However, the beauty of his performance as Jim Stark is how broken and even gentle it is. Certainly, we remember the moments where he screams at parents, bashes in desks and kicks paintings, but really most of his screen time is made of quiet nuances. He has no friends. He’s lonely and reserved. He just wants respect. He wants someone to listen to him–someone to stand up for what’s right. And he feels like a pendulum swinging madly between his bickering parents, constantly making him go this way and that, moving from town to town, time and time again. It sickens him and he reacts in the only way he knows. Rebel is just as much a subversive film, being so daring as to suggest that juvenile delinquency is a sort of created social construct. Kids do bad things, sure, teens are no good, but if you dig around a bit and look in the closets, the skeletons reveal themselves in due time. We now conveniently call them “family of origin issues,” but that puts everything in a nice box when the reality is actually very messy. That’s why the crucial scene in Rebel is when our three solitary teens go to Plato’s (Sal Mineo) abandoned mansion getaway in the dead of night. Alone it would be a house of horrors, but in community, they make it a pleasant affair–even playing a game of “house” complete with stuffy honeymooners, who don’t want kids unless they never have to see or talk to them again and a realtor who is is willing to give them the place for $3 million a month (Thankfully the newlyweds have a budget!). In essence, amidst their jests, they’ve become one happy family, finding a bit of solace from the asphyxiation of the world around them. The world accentuated by not only their parents but their peers too. However, it cannot last. It’s these moments that feel so light and carefree and that’s the key. Blink and you’ll miss them. Look away and the bubble is popped. Focus on the drama and you’ll get it all wrong. Because the moments of drama are exactly the moments that you expect to get some deeper understanding of their psyches. You look at Jim in the now iconic scene on the staircase, quarreling with his parents or Plato running off like a frightened rabbit packing a gun. We can shake our heads and ask “why?” but if we only sit back and listen, it becomes all too obvious. If Mr. and Mrs. Stark just listened, if Judy’s parent’s paid heed to her, if Plato actually had parents present in his life, maybe they could see what was “tearing them apart.” The suffocating hopelessness of the world that seems magnified tenfold in your adolescent years, as things are changing so rapidly. 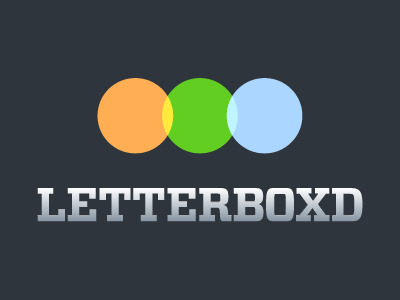 You’re getting pressured beyond belief and to top it off, it seems like no one understands you–not in the least. Thanks be to Nicholas Ray for bringing such an intimate study of youth to light, because it’s certainly melodrama, elevated by the unpredictable magic that is James Dean. That’s often the spotlight of this film and quite understandably so, given the lore around his legendary career and tragic death. But cull its depths and there’s even more if we look at how everything is initially foreshadowed at the Observatory, where the man in a droll tone nonchalantly summarizes the insignificant end of earth–only an infinitesimal speck in the patchwork of the universe (“In all the immensity of our universe and the galaxies beyond, the earth will not be missed. Through the infinite reaches of space, the problems of man seem trivial and naive indeed, and man existing alone seems himself an episode of little consequence”). Buzz tells Jim before their “Chickie Run” that he actually kind of likes the guy now, but still, “You gotta do something. Don’t you?” It’s the despondency of their existence. Buzz soon dies and people hardly bat an eye. Never before had I considered how this entire story unfolds in the course of one tragic day. It’s not realism by any means, but instead, it’s bursting with the passion and pain as reflected by Ray’s camera and impeccable use of color. It’s as if the teenage experience is being wholly magnified and consolidated into a single moment. That’s what Rebel Without a Cause embodies. 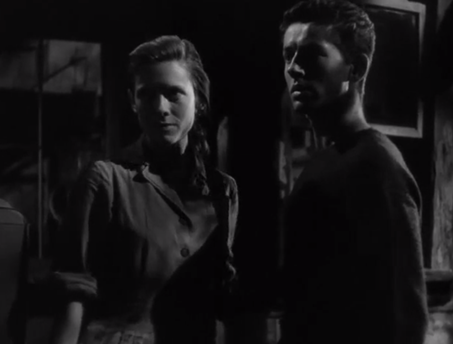 Regrettably, I have seen very little of Nicholas Ray, however from his debut in They Live by Night, I saw the same care spent on his youthful characters, which is also noticeable in Rebel Without a Cause. He does not treat “Keechie” and “Bowie” as cardboard cutouts or kids who are dumb and in love. They have value and feelings that are worth examining more closely. The film opens with three thugs breaking out of the local prison. Two of the men Chicamaw (Howard Da Silva) and T-Dub (Jay C. Flippen) are weathered criminals. The third, Bowie is a baby-faced kid looking hardly a day over 20, but he went into the clink for a reason. They find shelter at a nearby filling station where Chicamaw’s mangy older brother (Wil Wright) makes a living with his timid, no-nonsense daughter Katherine. They get a car and have enough money to get their feet off the ground before a big bank job in Kelton. It goes off without a major hitch, but soon after Bowie gets in a car accident and Chicamaw takes him back to his brother’s to be cared for. Katharine is there and the two of them find companionship in each other because neither one has anyone else to turn to. They are young, naive, and in love. They’ve never had these types of feelings before. Since Bowie needs to lay low, he takes “Keechie” with him and they make an adventure out of it. Ultimately, it results in a cheap $20 marriage and a lot of nice intimate nights spent together driving and cuddling. They’re living the lives of carefree newlyweds who need no one but each other. They find a simple cottage out in the backcountry owned by a homely proprietor (Byron Foulger), and it acts as a new home. A perfect oasis from the newspapers, the cops, and Bowie’s accomplices. However, they do catch up with him eventually, and he and Katherine split fast after a tiff. They want a normal life, but Chicamaw and T-Dub won’t allow it because they need more money from another bank job. He won’t and in the subsequent attempt, his former partners eat it. The lookout is still hot for the boy as well. He seems so undeserving of hard justice, but it is bound to come after him anyways. 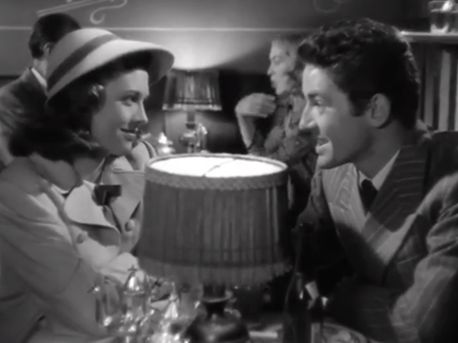 For such relative newcomers, Farley Granger and Cathy O’Donnell (The Best Years of Our Lives) have such genuine chemistry opposite each other. Granger is more often than not gentle and kind. O’Donnell is pretty in a simple, unadorned type of way. They elicit so much more sympathy than Bonnie and Clyde or even the fugitives in Gun Crazy. Perhaps because they aren’t even outlaws, only young kids who are victims of their circumstances. Starring Humphrey Bogart and Gloria Grahame with direction by Nicholas Ray, the film is about a struggling screenwriter with a hot temper. Dixon Steele (Bogart) has not written a good script in a while but then one evening he has an enthusiastic young woman explain a novel he is supposed to adapt since he has not read it. Everything goes seemingly normal however the next morning she is dead and Steele is the main suspect. The police investigate, including Steele’s detective friend, but a neighbor gives an alibi which seems to save Steele. Soon Grahame begins to fall in love with him and vice versa. However, she soon realizes his violent side and second guesses Steele’s innocence since he has such a violent history. Although they are to be married it is broken off when he finds out she was going to leave. Only then does Grahame find out he was indeed innocent but the damage is already done and their relationship cannot be saved. 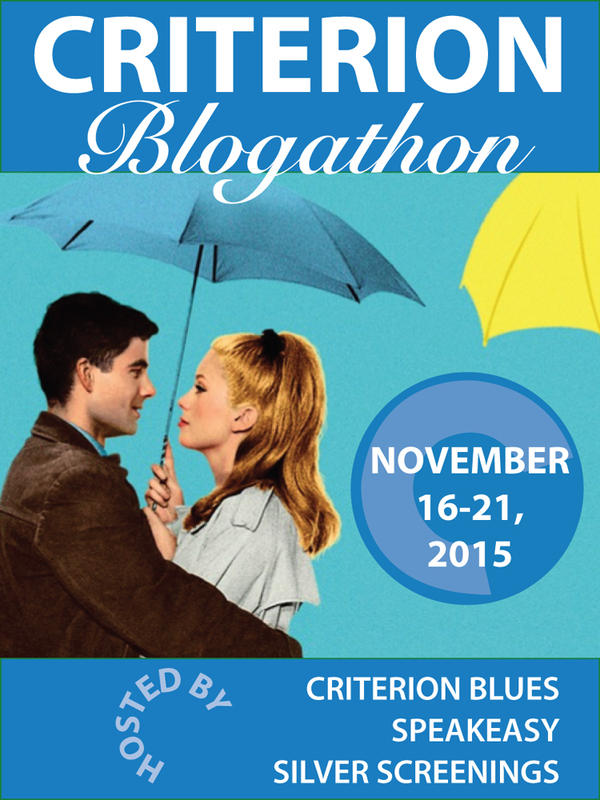 This is a pretty good film noir with powerful characters. A film starring James Dean, Natalie Wood, and Sal Mineo, with direction by Nicholas Ray, Rebel Without a Cause follows three teenagers, who are confused and conflicted about their lives. The initial sequence rolling behind the opening credits has the inebriated Jim Stark lying in the street fiddling with a toy monkey. Then, he is brought into juvenile hall, and simultaneously the story gives us a glimpse of not only the rowdy Jim, but discontented Judy, and the distant boy Plato. Each one has their own personal pain, and thus this film from the beginning really focuses on three rebels, who embody the adolescent generation. James Dean is Jim Stark: the new kid on the block, who is constantly moving with his parents. In the station when his parents retrieve him, there is obvious tension on all fronts, which include heated arguments, and outbursts on the part of Jim. The morning after being brought in he meets Judy only to get mixed up with her friends. Stark however also befriends the isolated loner Plato, who was in the station the night before. The trouble with the other teens starts with a switchblade contest during a school excursion to Griffith Observatory, but the stakes get bigger when they compete in a “Chickie Run” over a cliff. Stark lives but the other boy, Buzz, dies in the accident. Everyone flees the scene before the police arrive. Stuck between a rock and a hard place, Dean and Wood’s characters gravitate towards each other. Their parents seemingly do not understand them, and so they find comfort in each other instead. Their new found friend Plato tags along as they hold up in an abandoned mansion for the night. They spend the evening lounging around, making light of their parents and just talking. However, all does not bode well when some of the high school thugs come looking for Stark. Plato flees the scene with a gun, and soon he has policemen on his tail. Plato is in a paranoid and unstable state. Jim tries to console him and bring him out peacefully. But despite his best efforts, tragedy strikes one final blow. All is not wasted, however, because Jim’s father (Jim Bachus) vows to be a better and stronger parent than he was before. Following his breakthrough in East of Eden, Rebel would be the movie that defined Dean’s short but iconic career. His line “you’re tearing me apart!” would further define the angst felt by many teens at the time. There is a certain aura around this film for some reason, maybe because of Dean’s portrayal that is at times so moody, and at other times so subtle, but powerful nonetheless. I think part of the credit must go to director Nicholas Ray, who gave Dean free reign to improvise and develop his character in the way he saw fit. The film is tragic in another sense because all the primary stars died at an early age. Dean’s is the most remembered, but Mineo and Wood, both died extremely young as well. In Rebel Without a Cause, they all gave memorable performances and there are other notable players in this film including the usually comedic Jim Bachus and a very young Dennis Hopper. I think Rebel ultimately survives today because it tells a universal tale of a generational divide and a divide between young people fighting peer pressure. In the heads of teenagers the world can become jumbled and between school, fitting in, and home life it can be a struggle. This film dramatically illustrates that fact. So maybe the kids look different, the cars are older and such, but the struggles of Jim Stark, Judy, and Plato are still relatively the same. I must say this film really makes me want to visit the Griffith Observatory too, because it became such an integral part of this film’s story, and it is still around to this day. James Dean only had three major film performances and you could make a case for which was the best. I think it is safe to say that this role was his most iconic. It’s hard not to identify him with his red jacket, blue jeans, and the ubiquitous cigarette. He was the Rebel Without a Cause.